What is happening1 in Taiwan? Thousands of Taiwanese were surrounding and occupying the Legislative Yuan (LY) in Taipei on March 19 after legislators from the ruling Chinese Nationalist Party (KMT) expedited the review process of a services trade pact with China that many fear could have damaging repercussions on Taiwan’s economy and sovereignty. In their new album, “Where is happiness?”, the songs are full of anxiety. What is our future? The future is like a flowing river, and you can’t see its end. Fears that low-wage competition is driving down U.S. wages have a real basis in both theory and fact. When we import labor-intensive manufactured goods from the third world instead of making them here, the result is reduced demand for less-educated American workers, which leads in turn to lower wages for these workers. And no, cheap consumer goods at Wal-Mart aren’t adequate compensation. More recently, the government has been pushing an extension to ECFA known as the Cross-Strait Services Trade Agreement, or CSSTA. Some of the problems with CSSTA were pointed out in this interview with retired US diplomat John Tkacik, namely that (1) it lacked the protections afforded to other trade agreements which had been carried out under the WTO framework (this one was not). (2) That there is fundamental difference between the economic sectors in China and Taiwan which are governed by this agreement, such that it is more likely to hurt vulnerable sectors of Taiwan’s economy. And (3) that this would hurt, rather than help, Taiwan’s efforts to join other trade agreements because of the lack of transparency. The immediate cause of the occupation was the undemocratic process by which the CSSTA was pushed through the legislature. The trigger for the student occupation was the Interior Committee hearing in which KMT Convener Chang Ching-chung 張慶忠 slunk off in the corner and unilaterally determined that the committee should report the bill to the floor. In effect, what the students are doing is to remind the “adults” about the basic principles of democracy. The various student groups have many varied demands; all of them insist that Chang’s decision should not stand. They want the pact sent back to committee where it should receive a thorough review. This student occupation movement is not like the Arab Spring or the American Occupy Movement. The students are not asking for fundamental regime or structural changes. They are demanding that the politicians respect the process. One of the aspects of all of this which has most interested long-time observers of Taiwanese politics is the role played by students. The second story relates to the myth of the “Strawberry generation“. It has become a mantra of the veterans of the pro-democracy battles in the 1980s and 1990s to blame and shame current generation of young people for being politically apathetic and naive, for not caring about public issues, and for caring only about personal well-being. While the latter is not particularly fair criticism since young people struggle with finding job and college graduate salary has not risen in years (the same can hardly be said about prices), the former is clearly untrue and not only in the light of the most recent development. During the last 2 years, young Taiwanese led campaigns addressing among others issues of media freedom, land grabbing, and naturally also cross-Strait relations. The thing about current young generation is that it feels reluctant to identify with traditional political parties. While undeniably most of the criticism is addressed towards the KMT, many believe that the DPP has failed them too. Critics coming from partisan backgrounds have a hard time understanding the non-partisan orientation of much of the political youth. Besides the generational difference between the students who had gathered at the legislature since Tuesday night and the participants in the DPP and TSU rallies — whose average age must have been at least thrice that of the former — another contrast was the language of the speeches, which was markedly ideological where that of the youth is pragmatic. Having listened to hundreds of speeches in the past four days, it wasn’t hard to see that, overlapping interests notwithstanding, the youth’s approach to the problem was likely to have much greater appeal with the general public than that of the green-camp politicians, who once again occasionally resorted to language that divides (i.e, “mainlander” versus “Taiwanese”). Additionally, it was hard not to think that none of this would have been possible had matters been left in the hands of green politicians, who now were more than happy to capitalize on the youth’s months of efforts. This is not the first crisis for democracy in Taiwan in recent years. The disputed election of 2004 and the “red shirt” movement of 2006 were also severe crises. Although the nation survived those incidents, it muddled through rather than dealing with the root causes through genuine political reform. The way that Taiwan deals with this current challenge will affect domestic trust in its democratic institutions and also the international reputation of its democracy. The stakes are high. 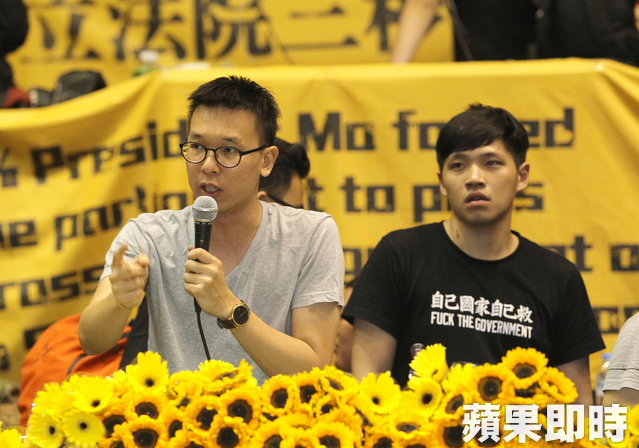 On the third day of the demonstration, the media starts calling the action Sunflower student movement when a flower shop owner delivered sunflowers to the protesters as a form of support. The image of sun reflects people’s hope to shed light to the black-box free trade negotiation between Taiwan and China governments. Although the image of a “black-box” negotiations has been central to the movement, one thing that has received less notice in the English language press is the role played by open government advocates in Taiwan. 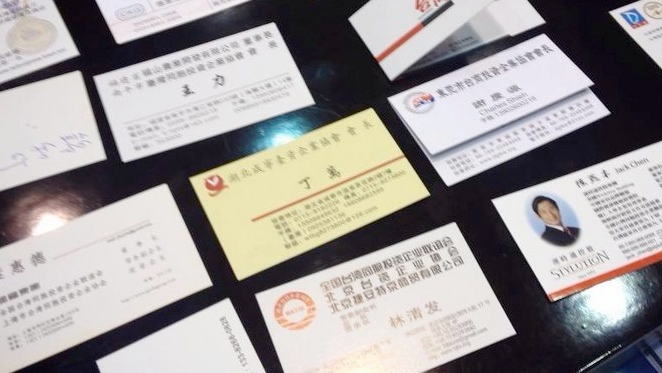 Having followed the movement for some time (you can find their Chinese language website here) one thing I quickly noticed was that a lot of the tools being used to organize the sunflower protests were the same tools that the open government folks had been using for some time. The English language live blog from inside the Legislative Yuan is run on a service called “hackpad” which is also being used to coordinate much of the protest. The remarkable feature of this Taiwanese case is the degree to which the police have so far remained tolerant: protecting a space and time of exception allowing this moment of extraprocedural politics to remain thus far within the parameters of nonviolence. The Taiwanese police are pretty good at playing this kind of game. They have thirty years of experience in managing transitional democracy, after all. For those who want to follow what is happening, your best bet is to stick to social media. The international media have really missed the ball on this, with reporting that has been perfunctory at best. A number of hashtags are being used, and even following Chinese language hashtags can result in a large number of English language tweets. Some of the most common hashtags are #(see original)#congressoccupied. There are also some bloggers that are doing a really good job: Letters from Taiwan, The View from Taiwan, the English language live blog from the protesters, Taiwan Voice on Facebook, Ketagalan Media’s The Debrief,Taiwan Not For Sale which has translations in multiple languages, the Chinese siteOccupation Today, and this excellent roundup of more links and resources in Chinese. UPDATE: I’m usually skeptical about the value of online petitions, but I think this might be a situation where a show of international support might make some difference. You can sign the petition here. Simply sharing some of the videos and links in this story (or this post) can help too. P. Kerim Friedman is an associate professor in the Department of Ethnic Relations and Cultures at National Dong Hwa University, in Taiwan, where he teaches linguistic and visual anthropology. He is co-director of the film Please Don’t Beat Me, Sir!, winner of the 2011 Jean Rouch Award from the Society of Visual Anthropology. Follow Kerim on Twitter.